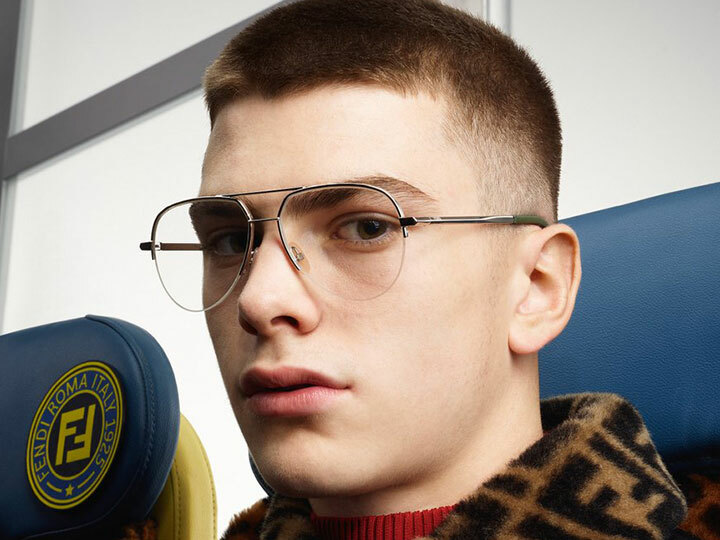 “A touch of how we were” is the theme of the Fendi Fall/Winter 2018/2019 collection, looking back to the Eighties when fashion first got its hands on the equality debate, as far as the female world is concerned. And here comes a perfect balance between hard and gentle, soft and strong, feminine and masculine, ladylike and street. 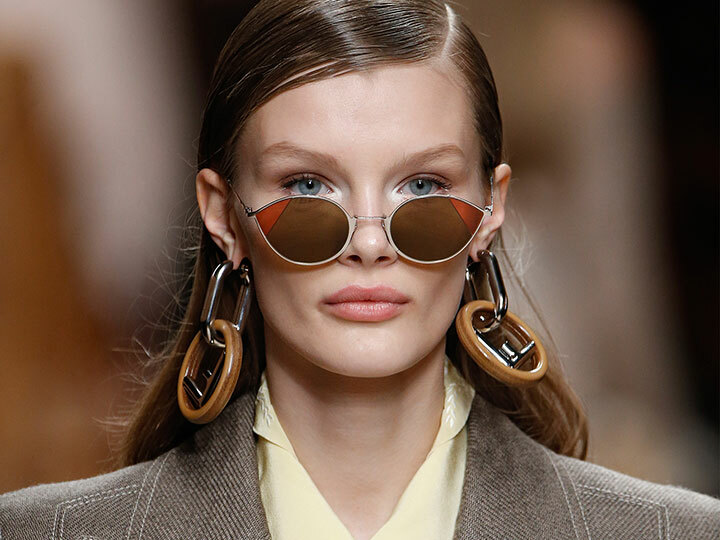 Yes, Fendi indeed turns back in revisiting its storied past. First the diamond, Cut Eye shapes, CUT EYE FF 0341/S and its smaller version CUT EYE FF 0342/S made of two contrasting lenses embedded together for a unique, modern elegance. Diamonds are a girl’s best friend: RIBBONS & CRYSTALS FF 0324/S will light up your glamorous look. The crystals have been an important element of the collection, used to embellish bags, small leather goods, accessories and shoes. For a passionate Fendi lady! The eyeglasses collection is made of beautiful, elegant pieces with a strong, fashion attitude. The Eyeline family is made of three shapes: the irregular pilot Eyeline FF 0329, the vintage, square Eyeline FF 0333 and the round and sophisticated Eyeline FF 0340/F. The male collection reveals a nostalgia for the 70s: checks and plaids on oversized coats and suits, and rich caramel tones. 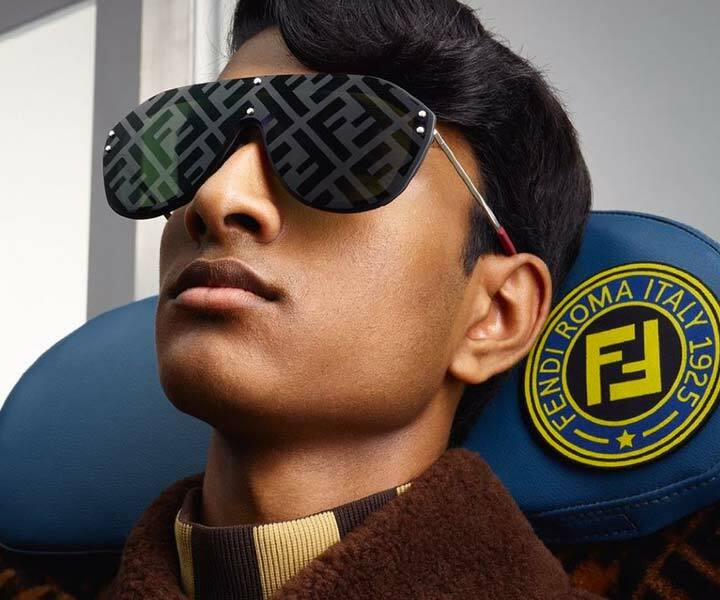 All inserted in the context of an airport underlining that the male of Fendi is a dynamic, travelling man-on-the-go! «Accessories make the journey easy», and here comes the eyewear collection thought for him. First in the row the FABULOUS FF M0039/G/S a modern mask characterized by the all over double F coating effect on the lenses. First class for the eyeglasses as well, also thought for a modern, contemporary man searching for minimal, sober designs. 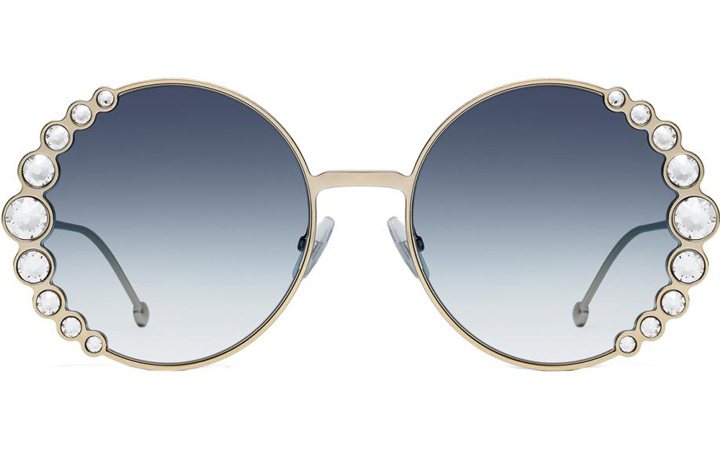 Check-out the Seventies-influenced FENDI AROUND FF M0036, lightweight, and so stylish! Ready for take off? Go Fendi!